In January, we were fortunate to have a guest essay by one of the organizers of the EQA monitor program, Empower IVD Globe. A forthcoming editorial in CCLM will soon endorse this program. As this project reaches a critical juncture, we review the reasons why labs need better EQA. Is your lab empowered, or enfeebled, by its EQA? It's been a while since we've looked at the Sigma-metrics of any blood gas instruments. There's an interesting study recently published comparing two blood gas instruments to a core laboratory autoanalyzer. When you know the blood gas results are going to be compared to the core lab results, the bias may not be quite as traceable, but it's certainly relevant. Nova CCX, RapidLab 1265, AU 2700, what's got the better performance? 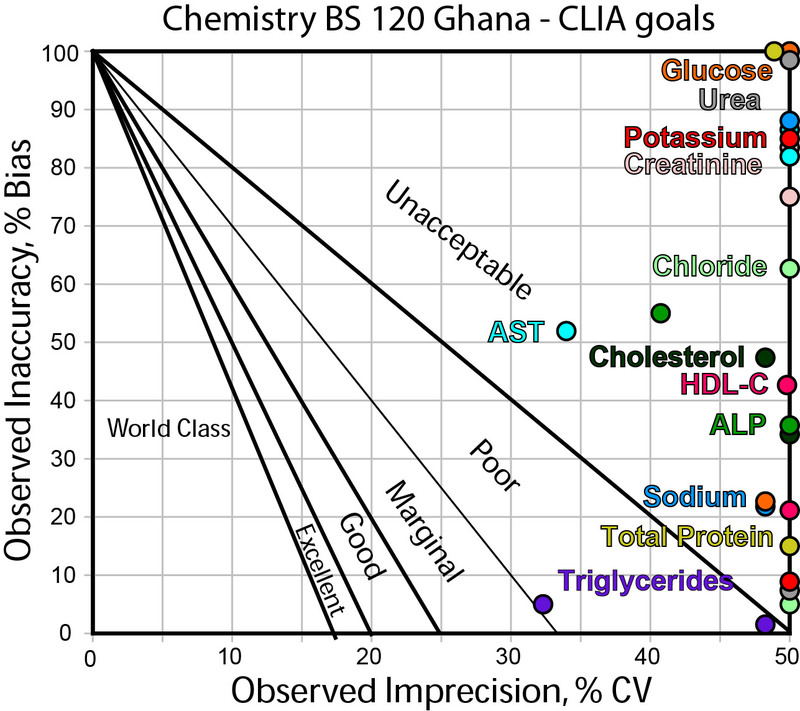 A 2014 article in the Nigerian Medical Journal assessed the Sigma-metrics of a chemistry analyzer. The results raise serious questions. When is method performance a problem of logistics and not a problem of the lab? And when does performance preclude accreditation? Pop Quiz: What's the biggest source of errors in a Nigerian QMS? A recent article about the experience of QMS tracking in a clinical laboratory in Nigeria raised some interesting questions about sources of errors in "developing world" laboratories. Where would you expect a Nigerian Human Virology laboratory (HVL) to experience the most problems? One of the least controversial outcomes of the Milan 2014 meeting on Quality Goals was the agreement to standardize the terminology. That is, make sure when we debate quality goals, at least we're all speaking the same language and using the same terminology. We will be changing over the biologic variation tables we have to conform to the new standards. Q&A: Is the "I" in IQCP "International?" While traveling in the middle east recently, I was asked by a colleague about the new US IQCP regulations, specifically how to implement them in their foreign laboratory. Frankly, I was a bit shocked. I didn't realize that anyone outside the US was paying attention to the IQCP roll-out. 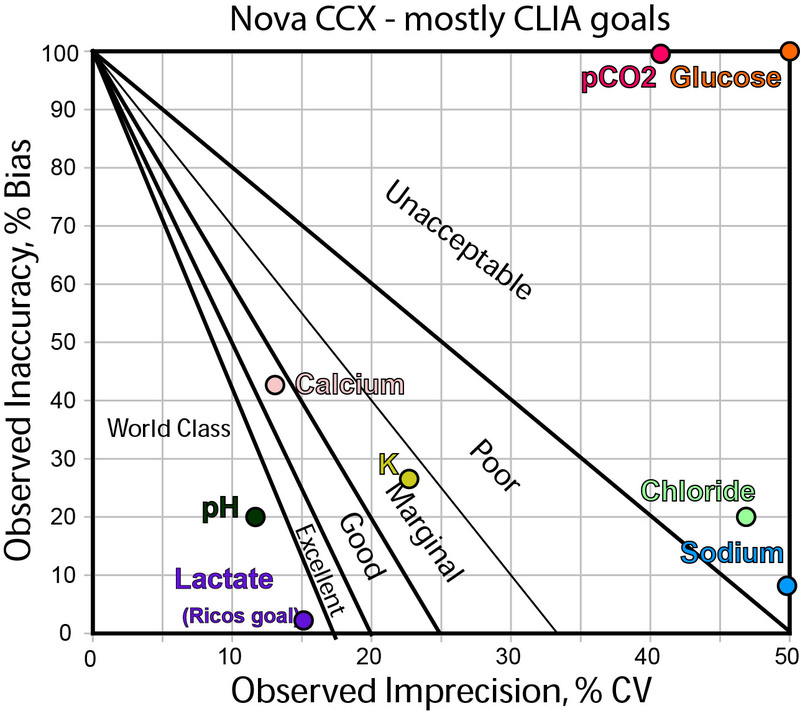 But it does raise a good question: Is IQCP a global necessity? Or merely a US idiosyncrasy? IQCP has been coming for years, but we've very little information about how ready US laboratories are to implement the new policy. We want to change that. We invite, implore, beg, plead with you to take part in our IQCP survey. It's a short survey, just 11 questions long. Shouldn't take you but a few minutes of time. Further, once we get all the responses of the survey in, we'll share the results with the public. Not only do you get a chance to voice your opinion, you'll get to see what other US labs are thinking, too. So please, put your "I" in the IQCP survey.